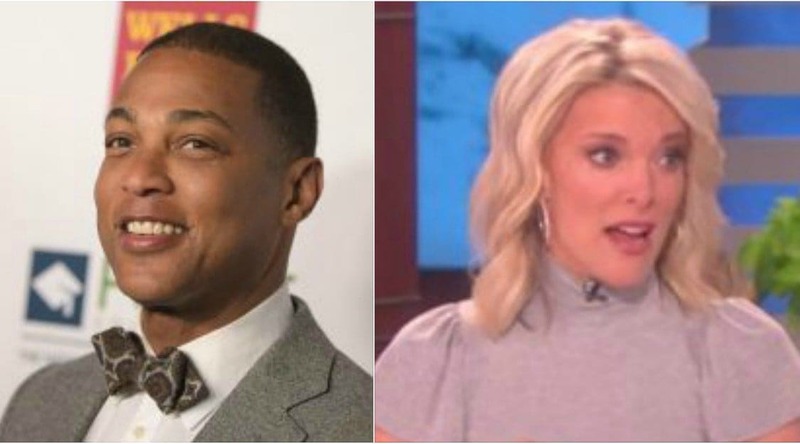 As NBC continues to navigate through the fallout of Megyn Kelly’s recent blackface comments during her ratings lackluster morning show, CNN anchor Don Lemon said that the network needs to look in the mirror to find the blame for Kelly. “She made some mistakes and now she’s suffering the consequences of those mistakes,” Lemon told Chris Cuomo at the end of his show on Thursday. “But I also think that it is partially the fault of the people who hired her because Megyn’s record, how she feels about things, she says she’s not PC. It’s there. Kelly’s blackface comments join a laundry list of controversies that followed her from her previous job at Fox News. Kelly’s history famously includes famously pumping up the bogus “New Black Panthers” story in 2010. In 2015 she accused Michelle Obama of playing into a ‘culture of victimization’ — a common statement made by white supremacists and black conservatives — she spoke about racial inequality during a commencement speech at Tuskegee University. Kelly has repeatedly questioned whether the police killings of unarmed black men — including Eric Garner and Michael Brown — had “anything to do with race.” She also dismissed the Justice Department report that found rampant racial discrimination in the Ferguson Police Department. Kelly also famously parroted “all lives matter” rhetoric in reaction to the Black Lives Matter movement. NBC News chairman Andy Lack, despite all of this, heavily courted Kelly when she left Fox News and signed her to a mega-contract that handed her the 9 a.m. hour of the Today Show and initially gave her a Sunday Night news show, Sunday Night with Megyn Kelly. The Sunday show quickly failed and her hour of the Today show has grossly under-performed compare to when it was hosted by Tamron Hall and Al Roker — the former of which was forced out of NBC and MSNBC upon news of Kelly’s arrival. This was all before Kelly said on Tuesday that dressing in black face was “ok” when she was a kid. Kelly, who is reportedly in talks with NBC about leaving the network, was seemingly out of place in the much friendlier morning environment. Particularly coming from the hard-edge conservative atmosphere of Fox News. Lemon said as much. “So I think that the management has to take some responsibility in it, she has to take some responsibility in it, and also her representatives have to take some responsibility in it,” he added. If or when Kelly is let go, she will have a soft landing. She stands to get a $69 million buyout on her way out the door.